Whether you love Google or hate it, there’s no escaping the fact that the search engine giant controls how successful your business can be online. The good news is that Google provides businesses with a variety of ways to get ahead, including through organic searches, local listings, and AdWords (which is often the most effective). By enlisting the help of an agency like Concept Designs & Marketing, creating and managing an AdWords campaign doesn’t even have to be difficult or time consuming! 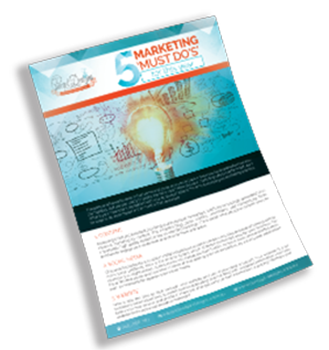 Here are three great reasons to stop putting off an investment into this marketing avenue. Getting your website to the top results page organically can take many months, and it’s not always possible to know for sure your efforts will pay off. A Google AdWords campaign costs more upfront, but landing your website on page 1 is guaranteed and virtually instant. As a short‐term marketing strategy, you can’t ask for much more than that! Unlike some forms of online marketing, where tracking and analysing your success is tricky at best, Google AdWords gives you and/or your AdWords campaign manager comprehensive and intuitive tools for creating valuable reports and analysing trends in your data. This gives you the ability to make informed and beneficial decisions about your current and future marketing strategies. Even if you have no experience with AdWords (or even digital marketing), your business can still see great results from this marketing avenue. How? By allowing experts like us to create and manage your campaigns for you. We have the experience and skills to drive leads and conversions to your business website through intelligent usage of Google AdWords. For more information about how AdWords works and how we can help you use this service to your best advantage, please contact our friendly team.